New Delhi, Dec 5 (IANS) Several "students" took out a rally calling for Ram Mandir in Ayodhya on Wednesday on the campus of Jawaharlal Nehru University (JNU), inviting disapproval and concerns about safety from the student union, which blamed the security agencies for allowing the participants to "vitiate" the campus environment. A video showed about 50 students carrying out a rally on the campus in the morning on bikes and other vehicles. From a truck, which also was a part of the rally, loud songs were shown being played in praise of Lord Ram. A banner was stuck with its hood advertising the upcoming 'Dharma Sabha' on December 9. The JNU Students Union, comprising members from Leftist student groups, has objected, calling it a "security breach" and accusing the administration of providing "political patronage" to the rightwing student groups. 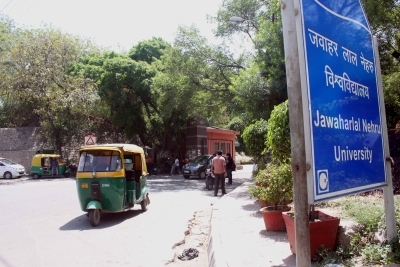 "It has come to our notice that in the morning between 9 a.m.-10 a.m, a group of outsiders in trucks, cars and motorcycles illegally entered the JNU campus forcing themselves through Saraswatipuram gate breaching the security. "We were told by the security personnel that there was no prior permission for such a rally organised by the outsiders on the campus. 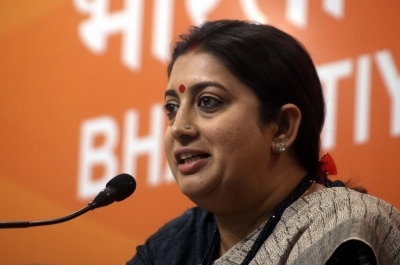 THe rallyists with saffron flags were vitiating the campus environment with communal slogans and were creating an atmosphere of fear and violence.... it is clear the administration is showing its political patronage to a particular political party and its actions," the union said. "If students want to take out 'Ram Sankalp Yatra' peacefully, then it's their democratic right," he said.